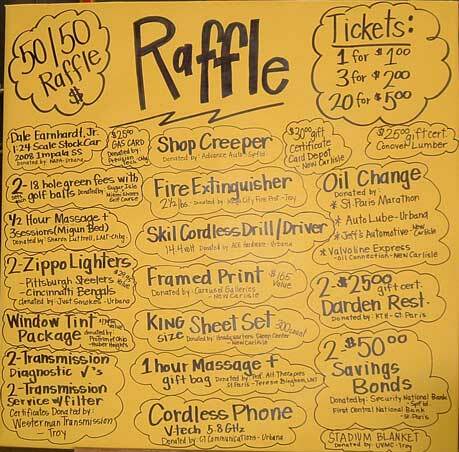 Door Prizes*50-50 Drawing*DJ/Music by "Hotdog"
Our prizes available in the 50-50 drawing at the 15th annual Classic Cruise In. A sample of the door prizes given away from these businesses for the 11th annual Classic Cruise In on September 19, 2009. If you would like to donate a door prize and receive recognition for your business, email Chief Bob Hoey or 937-857-9252. 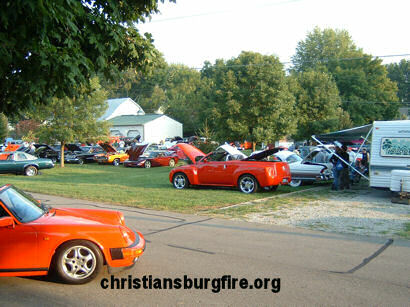 Go here to see a map for Christiansburg, so bring your classic car or truck and join us for an afternoon on the streets of Christiansburg!